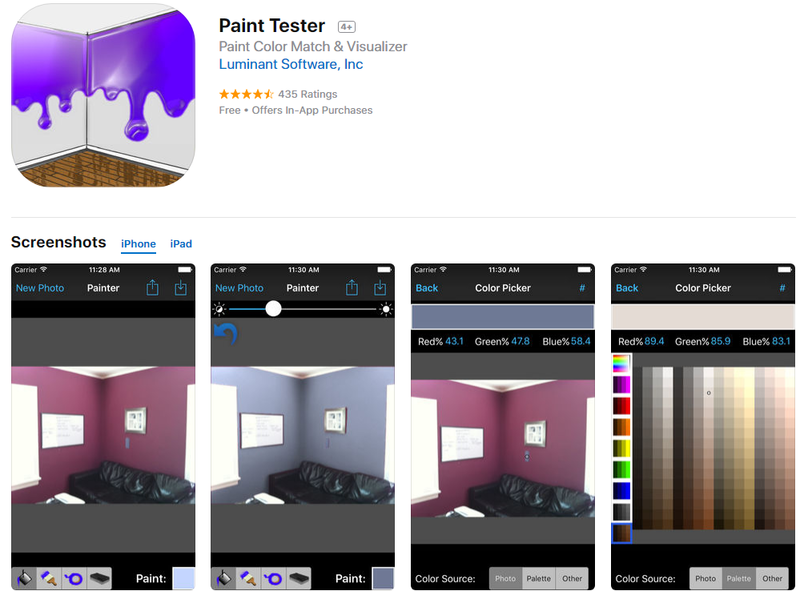 Finding the right color for a room can be a challenge, but Paint Tester shows you the results without the pain of repainting! Easily try out colors from the palette or just simply take a photo of a color you would like to try and apply it to pictures you have taken of your own home! Know what you’re getting into before the first drop of paint touches your wall! Have you ever gone somewhere and seen an amazing piece of furniture that you can’t imagine your home going without but you’re unsure if it will look good in your home (or even fit)? 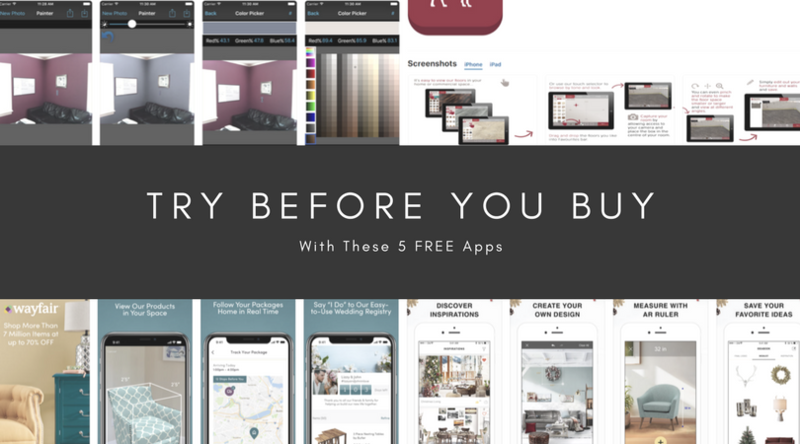 Since stealing isn’t an option, this free app, lets you take a picture of the furniture, measure it and see if it will look good before you even purchase it! What a steal! 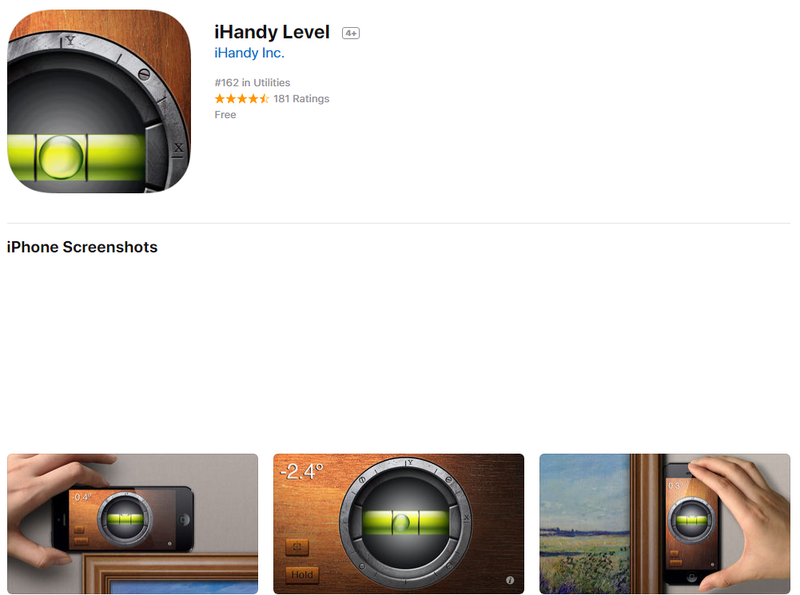 Here is a simple and free app by iHandy Inc. which allows you to level anything around. Very handy and free to download. 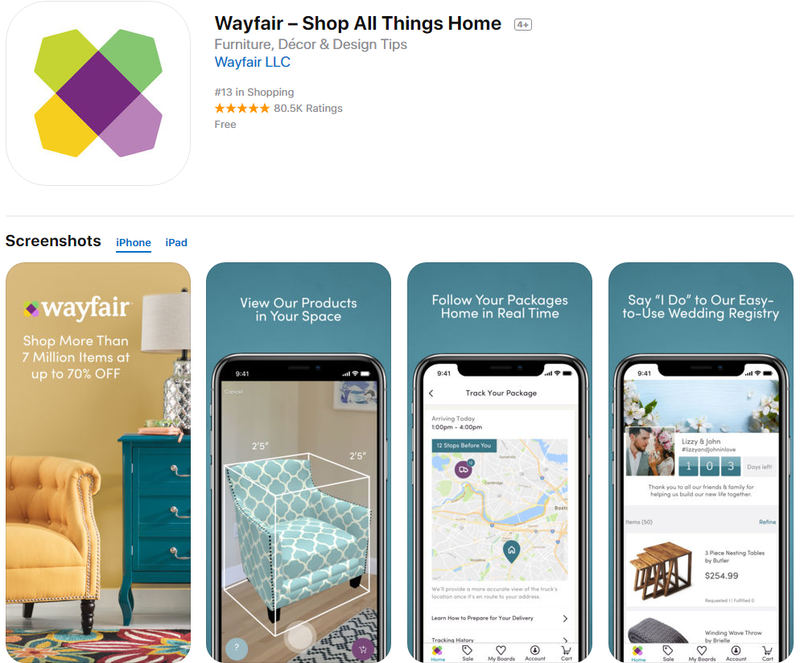 Is there anything wayfair can’t come up with? 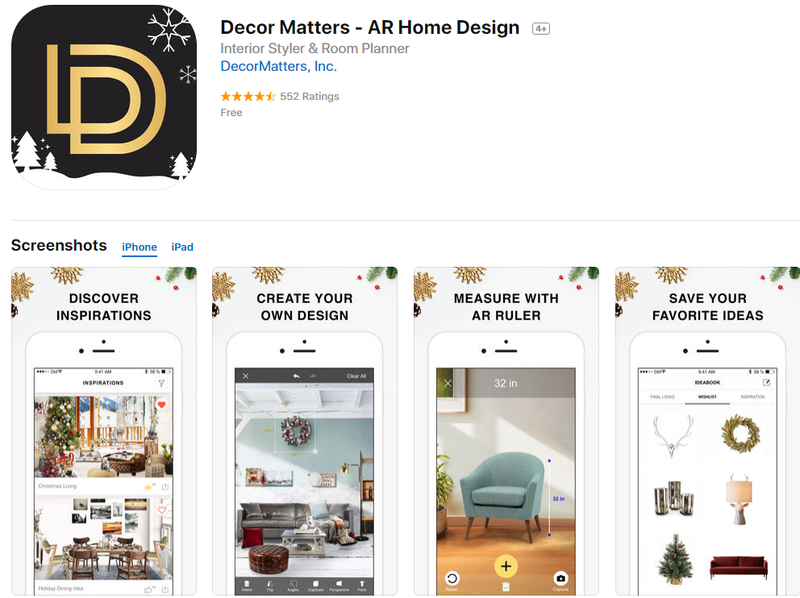 They now have a free app that allows you to scan your room, and then virtually decorate it with their brand named items. Now you can know what furniture will best fit your home before you buy it. 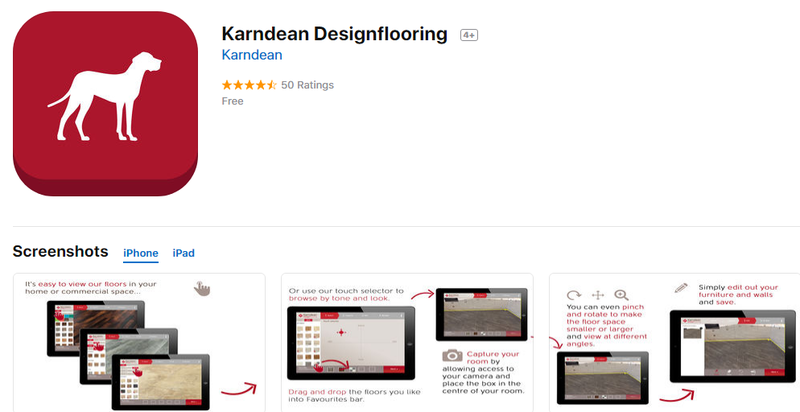 Try before you buy and bring any flooring to life in your space with the Karndean Design Flooring App. The cutting edge augmented reality technology allows you to place any selected flooring in your home in real time, and it is so simple! You can easily check out what light wood planks look like in your kitchen and then swap it out for a stone look tile, or maybe even parquet. You can also rotate the floor to test out different laying angles. How cool!